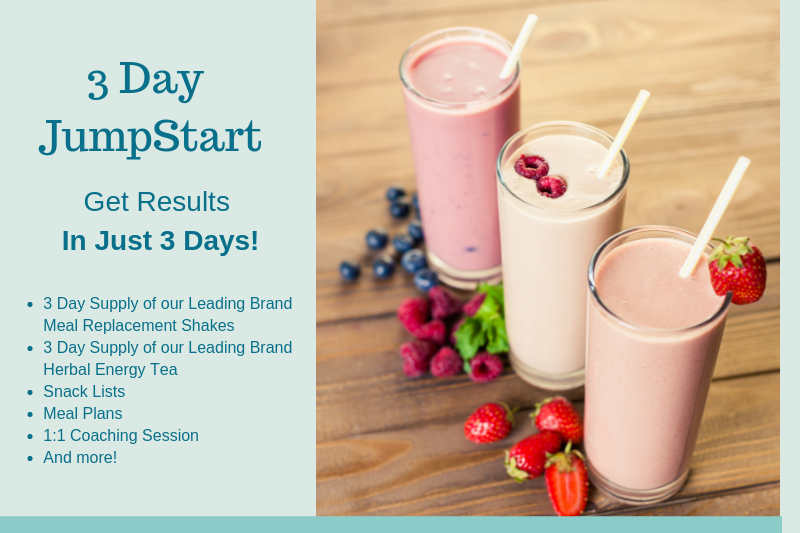 3 Day Jump Start for Fast Results | NewStart Nutrition Get fast results with the NewStart 3 Day JumpStart Kit. Complete 3 Day plan designed for fast results to lose weight and feel awesome. Fast Results — In Just 3 Days! Not sure you are ready to jump into a full membership plan with NewStart? No problem! Get fast results with our NewStart Jump Start Plan. A perfect way to experience our coaching method, lose weight and feel amazing! Meal Plans designed around your goals. Flexible, healthy, delicious recipes and ideas to set you up for success! Metabolism Boosting workout system. Streamlined workouts for supercharged results! Accountability and Support group. Because going it alone is a thing of the past! Personalized coaching to help you succeed! After all, your goals are our goals. Click here to order the Jump Start Kit So You Can Get FAST Results Too! Read about some of our favorite nutrition topics here: Breakfast, Protein, Understanding your Why, and more!